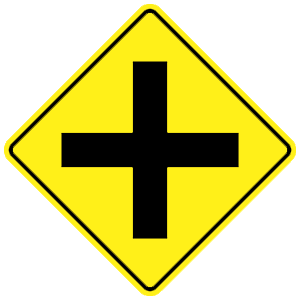 Crosswalks exist whether they are marked or unmarked. You must stop behind a crosswalk to allow any pedestrians to safely cross. Regulation signs regulate traffic speed and movement, displaying rules which drivers must obey. 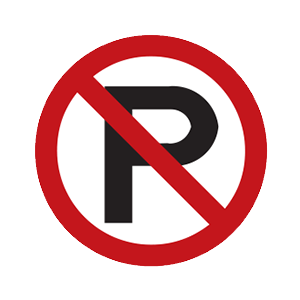 This regulation sign indicates that parking is not permitted. When is it illegal to drive below the speed limit? Only when driving in rural areas. It is illegal to drive so slowly that you disrupt the normal flow of traffic. You may receive a citation for driving too slowly.